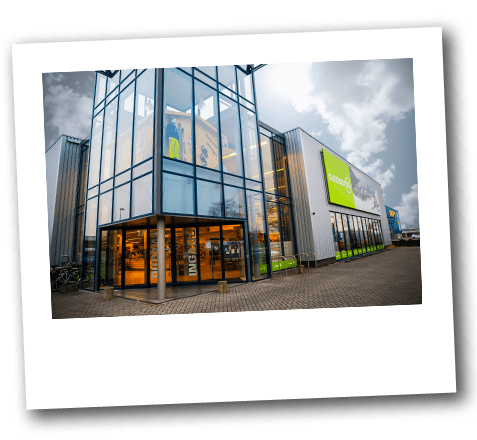 Our OutdoorXL store in Barendrecht, the Netherlands and the OutdoorXL webshop are part of a limited company, Authentic Outdoor BV. Authentic Outdoor BV supplies our services and products for outdoor, camping and skiing. Both in our store and on our website we work with data from customers since these data may be necessary for purchases, orders, warranty handling and our OutdoorXL newsletter. We are committed to ensuring that your privacy is protected and that we handle your personal data with care. We store data safely and process your personal data securely. OutdoorXL is operated by Authentic Outdoor BV, a Dutch “Besloten Vennootschap” which is a limited company established under Dutch law. Authentic Outdoor BV is responsible for the collection, storage and processing of your personal data. Authentic Outdoor BV is located at Aalborg 1, 2993 LP Barendrecht in The Netherlands. That is also where our OutdoorXL store is located. During opening hours you can always call us if you have any queries. At any time you can receive, correct or have removed your data by using the above contact options or by contacting us in any other way. Customers making purchases in our store may choose to provide personal data for warranty purposes or other matters. When you order online you always provide your personal data, since that is necessary in order to purchase. Also by emailing us or filling in forms on our website, you may provide us with personal data. We only store and use the personal data that you have provided to us directly or when it is clear that the data you have provided are intended for processing. We store the information you provide as long as may be necessary for product exchanges, returns, warranties, service or handling of complaints regarding products or our own marketing purposes. The information we store to process purchases, orders, warranty and other matters relating to our products are: name and address, billing address, e-mail address, payment details and telephone number. Your personal data is only shared with third parties for the purpose of processing orders, for invoicing or warranty purposes. When processing orders, for example, the service companies used by us (transport companies, logistics companies, banks) are sent the data they require for processing and concluding orders. The data shared with our service providers in this context may only be used by them for fulfilling their duties. We also use your information to improve our newsletters. A skier may not need information about sleeping bags and a camper may not be interested in ski helmets. We may use data from previous purchases and orders and may use what you find interesting and click on in newsletters. When we store your data we will take reasonable technical and organisational precautions to prevent the loss and misuse of your personal data. With both technical and organizational measures, we secure our website and other systems against distribution and access of your data by unauthorized persons. When you create an account on our website, we store your username and the information you provide. This allows you to view your already-concluded, still open and recently sent orders, or to manage your personal data and the newsletter. We also use them to get in touch with you with regard to purchases, invoicing and payments. In order to make an account, we need the following information: name and address, billing address, e-mail address. We send newsletters to inform our customers and interested parties about our products and services. When registering for the newsletter both in our store or online, we explicitly request permission and confirm your registration by email. In all newsletters there is a cancellation link or you can send us an email to resign. Data we collect from the newsletter helps us to improve our newsletters and helps us to provide you with more relevant content. You provide data by clicking topics and opening the newsletter. We may also use your order history for our newsletters. As a customer of OutdoorXL you may receive product recommendations or service information from us by mail. You will receive these service mails and product recommendations whether or not you have subscribed to our newsletter. In this way we may want to support and give you additional information about products in our collection that may be of interest to you based on your latest purchases and orders. If you do not wish to receive product recommendations or service messages from us, you can mail us or let us know in any other way. Of course there is an unsubscribe link in every service or offer e-mail that unsubscribes you in one click. We will not disclose your details to third parties, unless this is necessary for the completion of an order or for a warranty settlement for which a supplier requires data or if this is required by law. Your details are provided to ensure that orders are processed as quickly and smoothly as possible, to inform you about the status of the order or shipment and the processing of the payment. The third parties we share data with for orders are our payment service providers and our logistics partners. These are always renowned international partners. Unfortunately we are sometimes confronted with fraud or abuse. We may use customer data to investigate, prevent and counter fraud. If necessary, we provide customer data to the government. For the processing of (online) orders, shipments and complaint handling, we also receive data from our payment providers, logistics partners and suppliers with regard to purchases, payments, transport of orders and warranty. We only use this information to enable orders and shipments to proceed smoothly and to handle complaints. We use functional, analytical and advertisement cookies. We use functional cookies to make our website work properly, for example for your shopping cart and the checkout process. For these functional cookies, your prior consent is not required since they do not affect your privacy. We use analytical cookies to improve our website. We use the service Google Analytics to analyse our website. In this process we do not collect any personal data, however Google Analytics collects data regarding your browse behaviour. Because analytical cookies have minor consequences for your privacy, no permission is required for the use of these cookies. These analytical cookies also include cookies that are placed and read by third parties on behalf of OutdoorXL, such as Google Analytics. Google has a service to disable these analytical cookies on https://tools.google.com/dlpage/gaoptout?hl=en . We display advertisements on third-party websites. This may be done on the basis of interest areas. We use advertising cookies from third parties, such as Facebook and Google, on our website in order to be able to show you advertisements that best comply with your interests. We do not receive any information ourselves through these cookies. They are used by these third parties to display advertisements on other websites. How these third parties handle your privacy you can find on a the respective third-party website. See for Google https://policies.google.com/privacy and for Facebook https://www.facebook.com/privacy/explanation . We transfer personal data more securely through the use of coding. This also applies to orders, as well as to your login on our website. We use the coding system TLS (Transport Layer Security) or SSL (Secure Socket Layer). With the help of both technical and organizational measures, we secure our website and other systems against loss, unauthorized access and unintended distribution of data.